Published: Aug. 16, 2018 at 08:39 p.m.
Washington Redskins running back Samaje Perine turns on jets for 30-yard run. 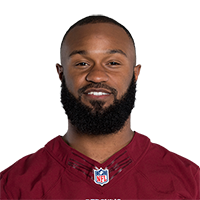 Published: Nov. 19, 2017 at 02:01 p.m.
Washington Redskins running back Samaje Perine punches in touchdown on goal line. Published: Nov. 19, 2017 at 01:37 p.m.
Washington Redskins running back Samaje Perine rips off 30 yards on a big run. Published: Oct. 15, 2017 at 02:14 p.m.
Washington Redskins running back Samaje Perine takes the pass from Kirk Cousins and rumbles into the end zone for 6.